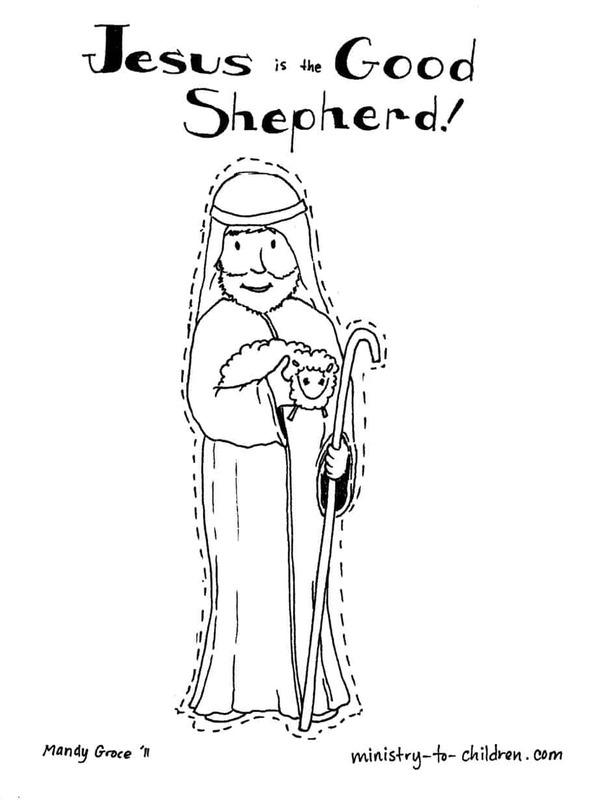 This coloring page and activity sheet will help kids understand what it means for Jesus to be the good shepherd. 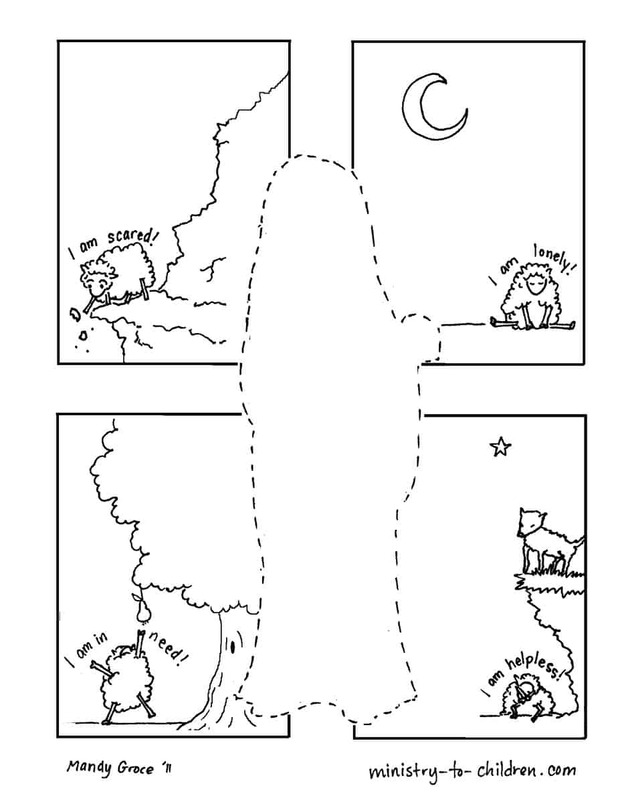 It’s the first in our new Good News coloring book. The first page offers some common situations that we all face. 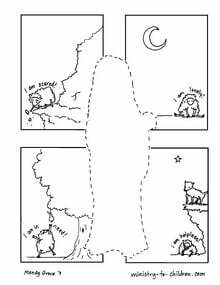 Have the children color that page and then attach the cut-out of Jesus. Use this craft to talk about how Christ provides for our real life problems. Directions: There are two sheets to this project, choose your format below and right click to download. The PDF format makes it easy to print, while the jpeg will allow advanced users to edit the illustration. 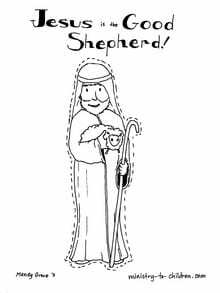 If you enjoy this free resource, be sure to browse all our Bible coloring pages. You can also leave a comment below to share your appreciation for Mandy’s artwork. Thank you so much for this i am trying to prepare my lesson for Sunday but was at a blank. This will be great for my babies. now the same topic for the older kids. Thank you Mandy for your artwork. I have used your resources many times in children’s ministry. I’m praying that God will bless you abundantly for sharing your talents with the body of Christ!! Thank you! Finding this page means a lot to me. The materials are well thought out and provide clear guidance to handle this delicate task. God bless you. Always love when Mandy provides art work . Very helpful and kids love it. Thank you for using your talents to produce such gentle and becoming illustrations to present the Biblical stories. The creativity of the lessons and illustrations definitely aid me as a preschool teacher to connect with my students during story time. I appreciate the continued variety. Thanks, again! Tony Kummer (Editor) reviewed & updated this page on : October 4, 2011 at 9:17 am. All our content is peer reviewed by our readers, simply leave a comment on any post suggest an update.